Study the Word of God Together! College is a busy place! And ABSK is where you can come as you are, find a listening ear, be challenged, and discuss life’s big questions through studying God’s Word. If you're curious to know more about God, the Bible, or whether you’re looking for a spiritual home away from home, ABSK is the place for you! 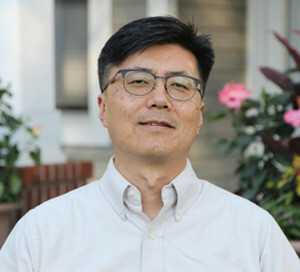 Are You New on Campus? Don't know much about the Bible? Wanna learn? Have questions about life? What does the Bible say? We seek to experience true unity and fellowship as we build each other up and share the love of Christ at UMD. 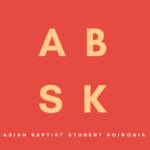 Asian Baptist Student Koinonia (ABSK) is a Christian group devoted to nurturing a community of faith among students on the UMD campus. Are you new on campus? Wanna learn the Bible? Join Us For Our Tuesday Bible Study @ 6:30 PM!